Your one stop shop for Industrial DC Power Systems specialising in the Design, Sales, Installation & Maintenance of Battery Banks & DC Power Supplies. THE BATTERY BANK is an Industrial DC Power Systems Company that specialises in the Design, Sales, Installation & Maintenance of Battery Banks & DC Power Supplies for Instrumentation, HV Switch Tripping, SCADA, Rail Traction and Solar Power (RAPS) systems. Our customer base includes Power Stations, Hospitals and Industrial Plant. We also offer Inspections and Assessment, Testing and Staff Training in the practical aspects of operating a battery bank in conjunction with the battery charger and the load equipment. 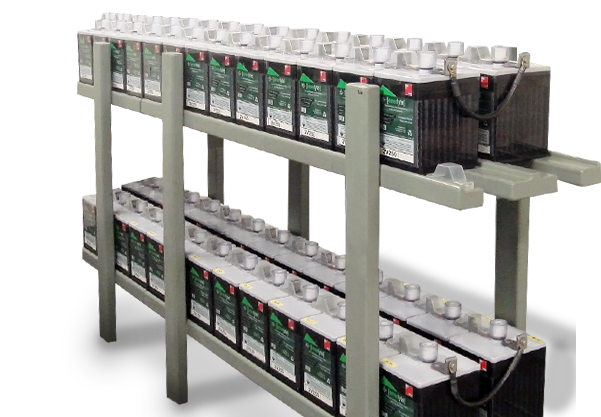 THE BATTERY BANK is the Western Australian agent for Sydney based Battery Energy Power Solutions P/L , who manufacture a range of industrial Lead Acid batteries specifically designed for Australian conditions, with their sealed batteries incorporating advanced CSIRO Gelled Electrolyte Technology. THE BATTERY BANK brings 28 years experience to the industrial battery industry through involvement in major Battery & DC Power Supply projects in Western Australia. Copyright 2014. The Battery Bank Pty Ltd. All Rights Reserved.